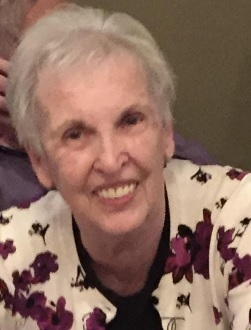 KAREN SUE (GORHAM) SHEA WAS BORN THE DAUGHTER OF CLARENCE GORHAM AND CHARLOTTE (SELLERS) GORHAM ON JULY 10, 1941, IN KANSAS CITY, MISSOURI AND DEPARTED THIS LIFE AFTER A BRIEF, BUT VIGILANT FIGHT WITH CANCER, ON SEPTEMBER 8, 2018 IN HARRISONVILLE, MO, AT THE AGE OF 77 YEARS. SHE WAS UNITED IN MARRIAGE ON SEPTEMBER 10, 1960, IN KANSAS CITY, MO TO THE LOVE OF HER LIFE CHARLES C. SHEA. THEY ENJOYED 58 YEARS OF LOVE AND LAUGHTER. SHE IS SURVIVED BY HER LOVING AND DEVOTED HUSBAND, CHARLES C. SHEA OF LEAWOOD, KS, HER SON, MIKE SHEA AND WIFE, SANDRA OF PLEASANT HILL, MO. ; TWO DAUGHTERS, BECKY BEISER AND HUSBAND, TOM OF LEAWOOD, KS AND JENNY SHEA SELLEY (STEVEN FRITZ) OF LAKE LOTAWANA, MO; SEVEN GRANDCHILDREN, VANCE BEISER, EVAN BEISER, KEEGUN SELLEY (MADDISON KRAUSE), MAGGIE SHEA, KELLY SHEA, GAGE SELLEY, AND CHARLESTON SELLEY. GRAND PETS, ROXY, PETEY, WINSTON, GIRL, FOU AND VINNY AND ONE EXTRA SPECIAL GRANDDOG, BUGSY. ONE SISTER SHIRLEY BALLEW AND HUSBAND BILL AND ONE BROTHER TERRY GORHAM AND WIFE LINDA, SISTER-IN-LAWS KATHERINE GORHAM, CAROL (SHEA) LENTZ, AND DALE GORHAM; SEVERAL “FAVORITE” NIECES, NEPHEWS, COUSINS AND MANY FRIENDS. SHE WAS PRECEDED IN DEATH BY HER PARENTS AND PARENTS-IN-LAWS, REA AND MILDRED SHEA, BROTHERS, ROBERT (BOB) GORHAM AND KENNETH (KEN) GORHAM, SISTER-IN-LAWS NANCY GORHAM AND BETTY SHEA, BROTHER-IN-LAWS BILL LENTZ AND OMIE LENTZ, AND GRANDDAUGHTER FAITH SELLEY. SHE WAS A DEVOTED WIFE, MOTHER, GRANDMOTHER AND WILL TRULY BE MISSED BY HER FAMILY AND FRIENDS. FUNERAL SERVICES WILL BE 1PM, WEDNESDAY, SEPTEMBER 12, 2018 AT THE PARK LAWN FUNERAL HOME IN KANSAS CITY, MO. THE FAMILY WILL RECEIVE FRIENDS AT THE PARK LAWN FUNERAL HOME FROM NOON TO 1:00 WITH SERVICES DIRECTED BY DENNIS YOUNG AND BURIAL IMMEDIATELY FOLLOWING AT PARK LAWN. IN LIEU OF FLOWERS, CONTRIBUTIONS MAY BE MADE IN HER MEMORY TO ALEXANDRA’S HOUSE. (ALEXANDRASHOUSE.COM). Thoughts and prayers to all of you. Love you, Jenny. Stay strong. Karen will always hold a special place in my heart. My love goes out to the Shea family, Karen will be missed by many.